The Rebel Sweetheart. : Spending and Saving, the Filipino (Kids') Way. Summer is almost over here in the Philippines, which also means one thing - another academic year is about to start. The 2012-2013 school year officially begins on June 4th (for public schools, at least), and thousands upon thousands of students are expected to swarm to their respective schools on that day. I know some kids aren't quite excited with the fact that summer break is over - no more fun and games, back to books and homework. But still there are some who are very, very eager to go back to school - mostly because they'll be receiving allowances again. I know, because I used to be one of those kids who are totally bummed with the 'no classes, no allowance' rule. In this year's 'Cartoon Network New Generations' survey, research shows that 9 out of 10 Filipino children receive allowances from their parents on a daily basis. On the average, a typical Filipino child receives an allowance amounting to Php 206 per week. Not surprisingly, children from more affluent households receive more. For instance, kids from AB homes (ergo, the Upper Class) have allowances averaging to Php 366 per week; kids from C homes (aka, the Middle Class) receive an average of Php 268 per week. On top of these daily allowances, Filipino children also receive an average of Php 1,969 per annum in the form of gift money. Think birthdays, or 'aguinaldos' on Christmas Day. Studies show that kids in Manila receive more money than all other kids in the country. Their average weekly allowance of Php 214 plus a Php 2185 annual gift money is substantially more than what a child living in Cebu receives, which amounts to an average weekly allowance of Php 143 plus a Php 995 annual gift money only. As for the spending habits, 57% of kids in the country spend all of the money they receive, while 87% claim to spend only half of their allowances. When it comes to saving, 51% (that's more than half!) of Filipino children claim to be unable to save money. However, a good 34% have their savings stashed in their piggy banks (or coin banks, for that matter), while another 11% have turned over their savings to their parents for safekeeping. Alarmingly, a whopping 61% of Filipino parents do not have bank accounts set up for their children, and only intend to do so (hopefully they will) within the next 12 months. Only 14% of Filipino parents have bank accounts under their child's name, and I'm proud to say that I belong to this very small proportion. I don't worry too much about my little man's spending habits because even at an early age, I've instilled in him the value of money. He'll be entering as Kindergarten this June, and at his age, kids usually bring snacks to school instead of receiving money from their parents. 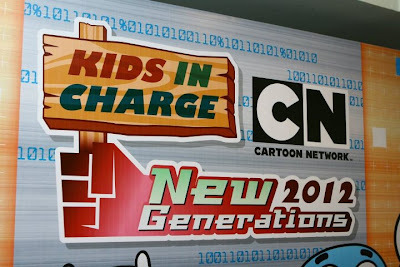 Here's hoping that Cartoon Network New Generations survey for 2012 will serve as an eye-opener for Filipino kids, and most especially, their parents. 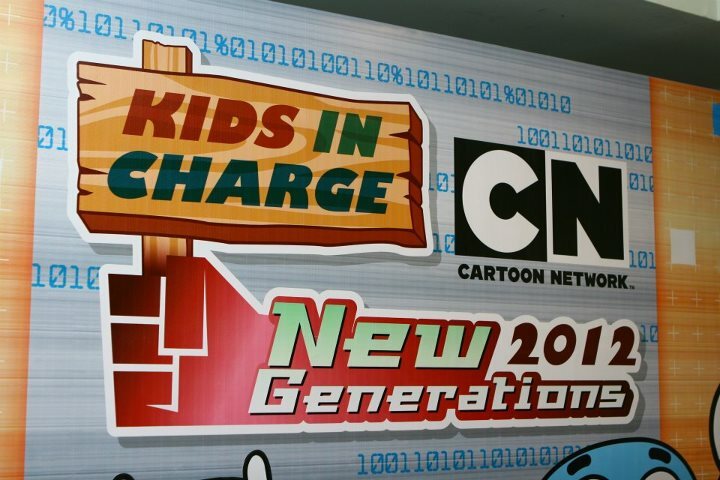 The Cartoon Network New Generations is a study that focuses on the lifestyles and preferences of kids in the Asia-Pacific Region. For 2012, the survey focused on the Philippines, where a total sample of 1000 kids across Metro Manila, Cebu, and Davao participated.. The kids, aged 7-14, were interviewed face-to-face, in-house, together with their parents. This year's study was conducted by Ipsos Philippines. Thanks interesting. I do the allowance in reverse. My son was six last summer and that was the first time we started an allowance but I only had it going on the summer which he earned for specific chores. I will teach him some new chores to start earning his summer allowance. Last year it was $2 a week which he could barely stand to save up for anything. Wow! That was very interesting. For one, school just ended here in the U.S. It is now summertime! And I don't know how much 214 is in American dollars, but that is a HUGE amount for an allowance. Here, kids get between $20 and $30. Our summer is just starting and my little ones are wanting to be responsible for their own money. We haven't given them any for any reason yet, but we are feeling the increasing need to begin teaching them the value of their own money and choices, not just my money. Its interesting that your school starts in summer. Ours is just getting out. I remember getting P20 per day for my daily baon when I was in elementary. I bring my own lunch as well, so my baon money goes for recess food and afternoon merienda.. :D Anyway, I just saw this initiative of Cartoon Network last night, with the song Cha-Ching. 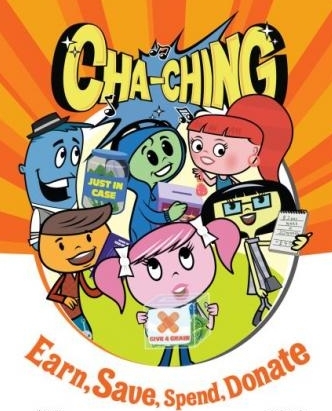 It's nice that CN makes both parents and children aware of the spending and saving habits of kids. These are some very interesting statistics about a culture that is literally foreign to me. Thanks for sharing on VB! I opened a TD for my son when he was about four months old. The cash he received from his godparents as Christening gifts all went straight to the bank. this is a good reference for kids' budget preparation :) mom na mom! This is a great way to educate the kids as early as possible. Hope the kids of today will grow financially and emotionally stable. I should start doing that now: opening a bank account for my daughter. She's got all her gift money stashed away in a pretty pink wallet. In my daughter's school, they have money loaded into their accounts and just need to swipe their IDs when buying in the school canteen. I think that's a good move by the school, as we can monitor their spending, and there's no danger of the kid losing the money. It's important to teach our kids how to save so that they know the value of money.